This time of year might just be my favorite. It’s still warm and sunny during the day, but you can start to feel fall creeping in a little bit in the evenings. Outdoor grilling and picnics are still in full effect, but tailgating, nights around the fire, and family dinners are starting to make the rounds. I’m always looking for easy recipes that can transition from summer to fall and today’s yummy recipe does just that! 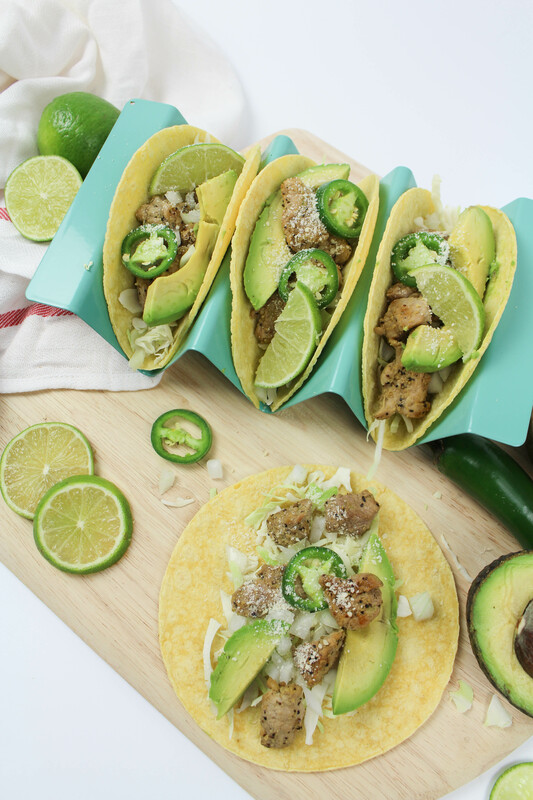 (Because who doesn’t love a good taco all year round?!) It’s easy, great for a crowd, and full of flavor! 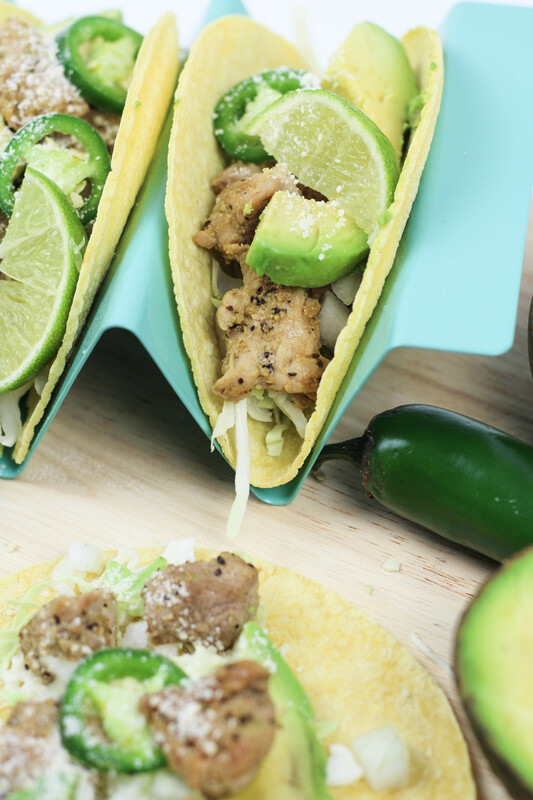 These pork tenderloin tacos upgrade a basic dish to something unique and scrumptious.